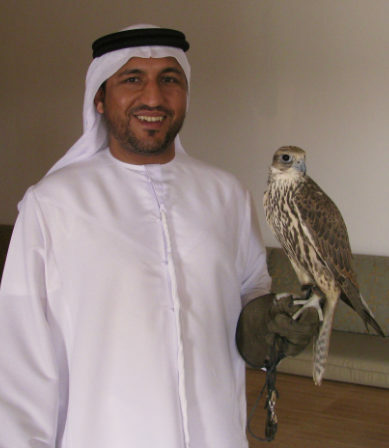 Eisa Al Monsoori from Abu Dhabi attended my last Dubai class and I was able to get to know him a bit. 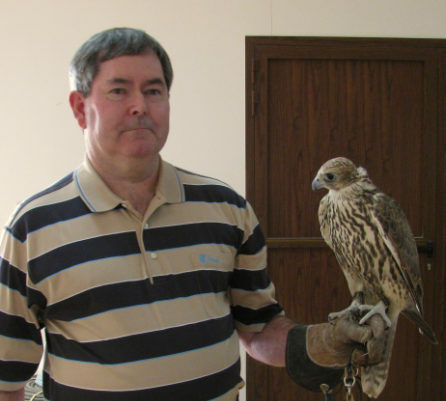 In our discussions he told me about he and his brother’s passion for raising falcons and training them to hunt. I was very interested in what he had to say. Since the class, Eisa and I have stayed in touch via email. He is a strong family man like me and has a weekend retreat like we do so we have several things in common. I made Eisa aware of my trip to Dubai and he offered to spend the day with me to show me his family farm and resort, , , I jumped at the chance to learn more about the local culture and see something outside of Dubai. Eating a great feast while sitting on the floor and with my hands from a gigantic platter of rice and lamb. They asked if I would like to “break the head of the lamb”, but I declined not knowing what it actually meant. Hope I didn’t insult anyone, but they all laughed so I’m probably ok. Saw the largest fruit basket I’ve ever seen with exotic fruits from all over the world. I was so full from the meal that I declined most of the fruit. Eisa says that this is normal for them because on the weekends they have 60 or more people at their resort to share time together. The close family bond they have with his 13 brothers and 6 sisters is quite amazing. 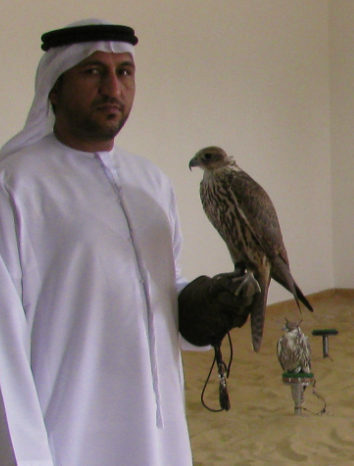 The best experience was seeing his falcons. There were six of them housed in a large open room building. The photos below tell it best. It was an awesome experience with a new friend, and I owe Eisa a big debt of gratitude for sharing his day with me. 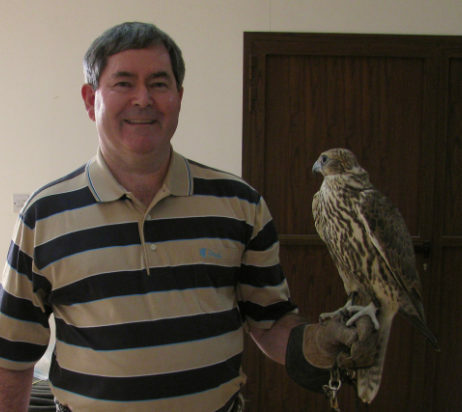 This entry was posted in IT Manager Institute, IT Manager Tips and tagged Abu Dhabi visit, Eisa and falcon, falcons, Mike Sisco with falcon. Bookmark the permalink.